I suppose there are times when it is good to take a walk and not to have a particular direction or plan in mind. Wandering around with nowhere to go can be fun, but when you have a particular goal, when you have a particular place to be at a certain time, it's usually better to have a map, a plan, a route to follow. This series of lessons is entitled Building Your Theology . Reaching sound conclusions when we build a theology is so important that we must have a plan for meeting that goal. So, in this series of lessons, we will investigate some of the basic and essential directions we should follow to develop a responsible Christian theology. This first lesson is entitled "What is Theology?" and our answer to this question will indicate a strategy for studying theology that has benefited the church in the past and that we should follow today. To explore this strategy, our lesson will divide into three main parts: first, we'll look at the definition of theology; second, we'll explore the goals of theology; and third, we'll touch on the topics of theology. Let's begin by defining what we mean when we use the term "theology." As we look into this topic, we will touch on three matters: first, we'll look at some typical definitions offered by four theologians; second, we'll describe some of the tendencies or perspectives of these definitions; and third, we'll evaluate these various tendencies. Let's turn first to some of the ways theologians have defined theology. Now, according to Romans 1 there is a very important sense in which all human beings do theology all of their lives. Even unbelievers are confronted with general revelation which leads them, however unconsciously at times, to reflect on God and his just requirements in some way or another. And believers, no matter what profession they have, spend much of their time with thoughts of God. Yet, as we begin our study, we want to focus on theology as a more formal task, a task performed by people who make a concerted and well-informed effort in a particular discipline of study. There are countless ways Christians and non-Christians have defined the formal discipline of theology. But as we begin our discussion of the formal study of theology, we'll limit our focus to four highly respected Christian theologians who have provided us with some helpful orientations. Let's consider the definitions we find in the writings of Thomas Aquinas, Charles Hodge, William Ames and the contemporary theologian John Frame. A unified science in which all things are treated under the aspect of God either because they are God himself or because they refer to God. This definition usually feels quite comfortable to students of theology and it makes a lot of sense to most of us. It has two important dimensions that deserve our special attention. First, Aquinas' defined theology as a "science." Now, he did not mean "science" in the modern sense of the term, but science in the broader sense of an intellectual or scholarly pursuit. In this sense, theology is an academic task with a rather specific goal. Aquinas' definition indicates that just as some people study biology, psychology, law or history, there are other people who pursue theology as an academic discipline. This concept of theology is fulfilled primarily through the kinds of concerns and activities that are commonly associated with academic study. In this view, the theologian's job is primarily to think, teach or write about theological doctrines or concepts. Now, of course Aquinas did not believe that theology should remain an academic task; rather theology should influence every dimension of the Christian life. Nevertheless, his view tended to conceive of theology primarily as an intellectual pursuit. As we look at Aquinas' definition of theology we see an important second dimension. For Aquinas, theology has at least two levels. On the one hand, theologians address issues pertaining to "God himself." For instance, we formulate opinions on matters such as the attributes of God: his omniscience, his omnipresence, his holiness. We call these subjects the study of "theology proper." God himself is the object we study. On the other hand, as Aquinas used the term, theology is also the study of any other subject that relates to God or refers to God. These topics could be discussed without particular reference to God, but theologians perform their craft by relating subjects to God. For instance, eschatology, the study of last things, is an important subject in theology. The doctrines of sin, redemption, and even subjects such as the presence of Christ in the Lord's Supper fall under the rubric of theology even though they are not theology proper. With this basic orientation set by Aquinas, it would be good to hear something similar from the Protestant theologian Charles Hodge. Although the Protestant Reformation changed many things for the body of Christ, it did not greatly alter the basic definition of theology. Charles Hodge of Princeton, who lived from 1797 until 1879, defined theology this way in the opening chapter of his Systematic Theology . Theology is "the science of the facts of divine revelation so far as those facts concern the nature of God and our relation to him." Let's point out several dimensions of this definition of theology. First, Hodge's definition is very similar to Aquinas' definition, but we should note how he explicitly mentioned revelation. Theology deals with "the facts of divine revelation." Now of course, Aquinas sought to depend on the revelation of God as well, but Hodge's definition reveals a typical Protestant concern, namely an emphasis on the importance of God's revelation, especially the Bible, as the main resource for theology. The Bible is no more a system of theology than nature is a system of chemistry or of mechanics. We find in nature the facts which the chemist or the mechanical philosopher has to examine — to ascertain the laws by which they are determined. So the Bible contains the truth which the theologian has to collect, authenticate, arrange, and exhibit in their internal relation to each other. For Hodge, the job of the theologian was to use the Bible as data, and to research, test and organize that data much like a 19th century scientist would in other fields. Now, he also believed that the conclusions of the theologian should be applied to Christian living, but like Aquinas, Hodge tended to leave application in the hands of ministers and pastors, limiting the actual work of formal theology largely to academicians and their students. In the third place, we see that Hodge also claimed that there were two main topics in theology. When doing theology we primarily concern ourselves with the "nature of God" and "our relation to him." This division of theology is similar to Aquinas' definition, distinguishing between theology proper and theology in general. Having seen the definitions of theology in Aquinas and Hodge, it will be helpful to look at a third definition. William Ames, the influential Puritan who lived from 1576 to 1633, spoke of theology in a slightly different way. In the opening section of his book, Marrow of Theology , he said that the heart of theology is "the doctrine or teaching of living to God." Ames' outlook on theology differs from what we have already seen in at least two ways. First, his definition does not use the word "science." Ames did say that theology is "doctrine or teaching," that is, theology is an intellectual pursuit of ideas and teaching. But he de-emphasized the close association of theology with other academic disciplines suggested by the language in Aquinas and Hodge. Second, while Ames affirmed that theology is the study of doctrine, notice what he specified as its topic of study: "living to God." Aquinas, and to some extent Hodge as well, focused on theology as a collection of facts and ideas but Ames emphasized that theology involves how one is to live to and for God. Instead of limiting theology primarily to an intellectual, factual pursuit, Ames looked with an experiential (or what the Puritans called "experimental") orientation toward a broader range of the believer's life. For him, theology, the marrow of theology, is done when this broader view is in focus. The contemporary theologian John Frame falls in line with Ames' outlook. In chapter 3 of his book, The Doctrine of the Knowledge of God , Frame defines theology as "the application of the Word of God by persons to all areas of life." Frame agrees in part with both Aquinas and Hodge because elsewhere he defines "application" as "teaching" or "doctrine." Nevertheless, as he says elsewhere, for Frame, teaching is the action of using Scripture "to meet the needs of people." Theology is not merely thinking about a set of traditional relatively academic issues. Instead, theology is application; it is applying the teachings of Scripture to the broad range of life. Now that we have seen four different definitions of theology, it will be helpful to compare the perspectives or tendencies they represent. These four definitions reveal two valuable perspectives that theologians have taken toward their discipline. We may call the first perspective the academic orientation and the second the life orientation. On the one side, Aquinas and Hodge represent an academic orientation in theology. Their outlooks represent the ways the majority of Christian theologians have defined theology. In simple terms, they define "theology" in ways that correspond to the etymology, or linguistic background, of the word "theology." The Greek word theos means "God," and comprises the first half of the word "theology." And in this context, the Greek word logos means "the science, or doctrine or study of" something and that makes up the second half of the word "theology." So, etymologically, the word "theology" suggests "the doctrine or study of God." Now, there is hardly a sincere evangelical theologian who would say that merely studying about God should be an end in itself. Most believers understand that theology is supposed to be applied to their lives in one way or another. But application is often seen not as essential to formal theology, but as a second step, sometimes called practical theology, something in which we engage as a secondary enterprise after we have settled scholarly, academic issues in formal theology. As a result, often formal theology can be performed with very little concern for ordinary living. It remains an area in which only a few academically gifted people can involve themselves to any significant degree. A sort of intellectual expert ethos develops in theology. On the other side, the definitions we have seen from Ames and Frame represent an important minority view, an orientation of theology toward life. There have always been some theologians who have seen theology as inextricably tied to the broader range of living as a believer, but in the past, relatively few leading theologians have held this view. In recent years, more theologians have begun to reject the concept that theology should be simply concerned with intellectual matters. They have seen formal theology not just as an intellectual or academic basis for Christian living, but rather as a discipline that is deeply and essentially concerned with living for Christ. There are many reasons why this minority outlook has enjoyed more advocates in recent decades. Some of these reasons come from theology and even from the Scriptures themselves. But we should also be aware that some of this growing consensus derives from tendencies in Western culture that have rightly called into question the ability of experts to remain objective, regardless of their field of expertise. We are constantly reminded these days of the humanity of intellectuals and how their lives deeply influenced their academic pursuits. For example, scientists and medical professionals, who were once thought to be purely objective, are now seen as ordinary people. We regularly question their opinions in ways that would have been unimaginable just a few decades ago. And in much the same way, the church now recognizes more clearly that no matter how brilliant theologians may be, they are mere humans. As much as they may claim to be objective observers of the facts, their views are deeply affected by their life experiences. As a result, purely academic approaches to theology are valued much less today, and the need for application is seen much more clearly than before. With the contours of academic and life-orientated theology in mind, we should step back and make some preliminary evaluations. It helps to ask what advantages and disadvantages exist in each tendency. What are the positives and the negatives of an academic orientation and a life orientation in formal, serious theology? In the first place, the greatest strength of the academic approach is that it capitalizes on one of God's gracious gifts to humanity: …our rational abilities. God has given human beings intellectual capacities, and he expects theologians to exercise those abilities in the pursuit of truth. Throughout the Scriptures wise men are exalted for their intellectual skills as they use them in the fear of God. Pondering carefully the nature of truth and formulating beliefs out of those rational enquiries is an essential part of what it means to be wise. Solomon was wise because he exercised his ability to think through matters. Listen to the description of Solomon in 1 Kings 4:29, 31. God gave Solomon wisdom and very great insight, and a breadth of understanding as measureless as the sand on the seashore — He was wiser than any other man — his fame spread to all the surrounding nations (1 Kings 4:29, 31). In this vein, the wisdom literature of the Bible explicitly encourages us to develop and to use our reasoning abilities. Our dear brother Paul also wrote you with the wisdom that God gave him — His letters contain some things that are hard to understand (2 Peter 3:15-16). The intellectual or academic emphasis of traditional theology does not oppose the biblical notion of good theology. On the contrary, rigorous thinking is a great strength of traditional theology. Even so, we must equally stress that a danger lurks in the academic focus of theology. Unfortunately, it is often the case that traditional theology is so oriented toward conceptual or academic issues that theologians' lives outside the library receive very little attention. Arriving at true formulation of ideas easily becomes an end in itself, such that it is common for people to be considered good theologians simply because they know a lot of about theological subjects. But at times we have to admit "good theologians" are not very "good people." Sadly, this description applies to far too many reportedly "good theologians." They can gather and collate facts about God and the Christian life with remarkable skill, but they fail to give the same level of attention to living in the light of the Christian faith. How do we get to the point where we believe someone can be a good theologian and not a good person? It's when we operate with a definition of theology that merely includes academic activities, when we think that doing theology means studying well, writing well, teaching true ideas. Unfortunately, this continues to be the tendency that undergirds most formal theological education today. The fact that theological seminaries rely almost exclusively on classroom experience to prepare ministers of the gospel reveals that we still believe that theology can be done in large measure apart from actually living theology. This is one of the greatest dangers in the traditional approach to formal theology. We should also realize that there are advantages and disadvantages with life-oriented theology. How should we assess this growing consensus that theology must be connected more directly with life outside of the study? Do not merely listen to the word, and so deceive yourselves. Do what it says (James 1:22). The intellectual hypocrisy of many theologians is utterly discounted by these words of Scripture. Good theology will lead to proper living and not just proper learning. Knowledge puffs up, but love builds up (1 Corinthians 8:1). If I — can fathom all mysteries and all knowledge — but have not love, I am nothing (1 Corinthians 13:2). We really aren't fulfilling Biblical standards if we only concentrate on learning about theology in some objective, conceptual way. Rather, theology that endorses the values of Scripture will be theology that fleshes out what we believe. At the same time, however, the life orientation in theology also poses a serious danger; it runs the serious risk of anti-intellectualism. Because many evangelicals today utterly distrust the intellectual side of theology, they turn against carefully studying theological doctrine. They actually view traditional academic-oriented, formal theology as harmful to Christian living. We've all heard sincere people talk this way, "I don't think we should get into doctrine; that will only take our minds off of Christ." Or, maybe you've heard someone say this, "You don't need to study theology to be a leader of the church. All you need is the leading of the Spirit." And as I just recently heard, "Intellectual Christianity is dead Christianity." These well-meaning believers have an obvious distaste for traditional academically-oriented theology. They reject it for an anti-intellectual approach to the faith. Instead of building their lives on carefully, even rigorously conceived theology, believers like these often simply lean on their own spiritual intuitions, without carefully examining them. They may simply follow the lead of a powerful or charismatic leader. Or they may substitute extraordinary spiritual experiences for traditional academic theology. Whatever the case, all of us should resist the serious danger of anti-intellectualism in the church because it will inevitably lead to false teachings and misconceptions of the Christian faith that will have dreadful ramifications for the lives of many believers. Each of us must look carefully at the way we define theology. Some of us naturally tend toward an academically-oriented view of theology to the neglect of other aspects of life. Others of us tend toward a life orientation to the neglect of intellectual matters. To avoid these extremes, we must acknowledge that there are dangers and values in both views. The way of wisdom is to embrace both outlooks at the same time. We need both theology for the academy and theology for life. Having explored some of the ways theologians define theology, we are ready to explore a second issue: the goals of theology. What should be the goals that come to the foreground as we do theology? How are these aims connected with each other? To answer these questions we'll look at three matters: first, we'll identify the three primary goals of theology; second, we'll explore the interdependence of these three goals; and third, we'll explore the priorities that should be given to these three goals. Let's begin by describing the goals of theology. There are so many ways to describe the aims of theology that it is impossible to list them all. In the most general terms, we do theology for the same reasons we do everything as Christians. In the language of the Westminster Shorter Catechism, Question 1, theology is one of the ways we "glorify God and enjoy him forever." Yet, it is possible to be more precise than this. Theologians should have particular ways they try to honor God and try to enjoy God in this endeavor. In many respects, the differences between the definitions of theology we have already explored provide a starting point for distinguishing several goals of theology. On one side, defining formal theology primarily as a science, as an academic field of knowledge, indicates that one goal is intellectual or conceptual, namely, teaching or developing doctrines that focus on intellectual matters; and on the other side, defining theology with an orientation toward life indicates that our goal is to develop teachings or doctrines that focus on the broader issues of our whole lives in Christ. We'll build on these two orientations toward theology by speaking of three primary goals for theology. We will speak of orthodoxy, orthopraxis and orthopathos. Let's look first at the goal of orthodoxy. In the first place, doctrinal orthodoxy is a major goal in any responsible Christian theology. The term orthodoxy is used in different ways by different churches, but we will use the term here simply to mean "right or straight thinking." The goal of orthodoxy is to reach right or true doctrines. No matter what our denomination or church, when we do theology we are interested to one degree or another in the truthfulness of what we believe. We want to believe the right things about God, our world and ourselves. It's difficult to overlook the importance of the goal of orthodoxy in the history of theology. Without a doubt, this conceptual concern has been the primary interest of most theological works. This outline leaves little doubt that Berkhof's main goal as he wrote these chapters was for readers to learn orthodox or correct doctrine, to grasp the right ideas. In the past, it was relatively easy for theologians to pontificate about this and that aspect of Christian faith as absolute truth. Now today, with rapid communication and worldwide shifts in populations, we encounter faiths other than Christianity at nearly every turn, and this leaves many people confused and with very little energy to pursue truth and right thinking. Even many Christian theologians wonder if we really can be so sure about the traditional truth claims of our faith. Besides the confusing influences from outside the Christian community, we also have to deal with the fact that it is very difficult to find Christians who can agree on more than a handful of core doctrines. In spite of these current tendencies, we should reaffirm that developing orthodox outlooks, a set of what we call true doctrines, should be one of the chief goals of theology. The challenges of pursuing orthodoxy that we face today are not unique in every respect. Jesus and his apostles faced widespread religious diversity in the Mediterranean world much as we do today. Yet, Jesus proclaimed without hesitation that his followers had to be people who sought truth. Jesus was deeply concerned with true doctrine. He affirmed that orthodoxy is one of the principal goals of theology, and as his followers, we must do the same. With the conceptual goal of theology in mind, let's look at the goal of orthopraxis. Put simply, orthopraxis means developing doctrines or teachings focused on right behavior or practice. You'll recall that William Ames described the marrow of theology as the doctrine of "living to God." One aspect of living to God is our practice or our behavior. It's not enough simply to think correctly about theological concepts. We must put those concepts into practice, right practice. It is evident that Christian theology should direct us toward correct or right actions. For instance, in theology we learn that we are to pray, evangelize, worship, serve each other, and give generously to the poor. But learning about these and other truths is not enough for responsible Christian theology. These truths must be translated into proper actions, into orthopraxis. Sadly, evangelicals face several enormous challenges in maintaining their interest in the theological goal of orthopraxis. First, people outside of the church constantly bombard us with the lie that there are no moral absolutes, that no behaviors are particularly good or bad. So many of us grow weary of standing against the tide of our cultures by insisting that there are right and wrong ways to behave. But beyond that, even from within the church some of our reticence to make orthopraxis a crucial goal stems from the ways we as Christians have failed in this endeavor in the past. The church has committed many sins in the name of truth. We look into the history of the church and see horrendous behaviors that were supported by serious theological reasoning. It is a sad fact of history that religious people, even sincere Christians, often use their theology to justify all kinds of terrible sins. But despite these serious difficulties, orthopraxis is still critical because our behavior still matters to God. Our good and bad works still affect our eternal rewards. The good things we do can also be God's means of ministering to our fellow Christians and we can still present a powerful witness for Christ to the unbelieving world through proper behavior. For these and other reasons, orthopraxis must still be an essential goal of theology. Now we need to be cautious on many levels of this endeavor; humility and love must characterize our actions at every turn. And we mustn't reduce Christian life to mere actions. Still, theology should not be concerned merely with conceptual correctness, but with teaching the kinds of actions we should have as well. You believe that there is one God. Good! Even the demons believe that — and shudder (James 2:19). In at least one respect, even the devil is orthodox. But what good does the devil's orthodoxy do for him? I'm convinced that Satan believes in the Trinity; he believes Jesus died for sinners; he believes that the resurrection occurred; he knows the true gospel of salvation by grace through faith. Yet, these true beliefs have no eternal benefit for Satan because he does not move from orthodoxy to orthopraxis, to the worship and service of the one true God. We must resist the temptation to make right behavior a secondary goal of Christian theology; orthopraxis must remain one of theology's central goals. In addition to orthodoxy and orthopraxis, another goal of theology should also be mentioned. We will call this theological goal "orthopathos" which means "right or correct feelings or emotions." Living for God involves making sure that our deepest sentiments are in his service: our joys, our disappointments, our yearnings, our anger, our exhilaration and a host of other emotions must be brought into conformity with the will of God. Unfortunately, if ever there were a goal of theology that academic theologians tend to overlook, it is the goal of orthopathos. Neglect of the emotional dimensions of theology occurs for at least two reasons. First, many academic theologians are often psychologically inept at expressing or exploring emotions. In fact, under the influence of the often-sterile academic model, people will often take up careers in academic theology, becoming professors and teachers, so that they can avoid confronting the emotional dimensions of life. Consequently, it is not surprising to find about as little excitement, joy, pain, sympathy, care and love expressed in academic theological writings as you do in academic botany textbooks. If you've ever read much academic theology, you know that very little attention is given to emotional matters, often because professional theologians themselves do not value emotions, or they have not developed themselves emotionally. A second obstacle to orthopathos is that many evangelicals have fallen into the trap of believing that feelings are amoral; that they're morally neutral. It is not appropriate, they say, to speak of some feelings being right and others wrong. They believe that the notion of orthopathos, right feelings, is entirely misguided. And as widespread as the amoral outlook on emotions may be, it is much more in line with certain modern psychological theories than it is with the perspectives of the Bible. A wonderful example of pathos within theological writing is the writings of the apostle Paul. All of us know that Paul was concerned with orthodoxy; he was committed to pursuing the truth. Yet, time and again, as he wrote about truth, Paul could not contain his feelings. His reflections on orthodoxy caused spontaneous emotional outbursts. Oh, the depth of the riches of the wisdom and knowledge of God! How unsearchable his judgments, and his paths beyond tracing out! "Who has known the mind of the Lord? Or who has been his counselor?" "Who has ever given to God, that God should repay him?" For from him and through him and to him are all things. To him be the glory forever! Amen (Romans 11:33-36). Now when was the last time you read something like that in the middle of an academic theological treatise? Now that we have introduced the three main goals of theology, we need to comment on their interdependence. Their interdependence is an important reason why we must not ignore any one of the goals of theology. They are so intertwined that we cannot be strong in one area without strength in the other two. To explain what we mean, we will look at three matters. First, we will see how orthodoxy enhances the others. Then we will see how orthopraxis augments the other two theological goals. And third, we'll note how orthopathos contributes to the other two. Let's begin with a look at how orthodoxy or right thinking furthers our other theological goals. Most evangelicals today are very much aware in principle that some measure of orthodoxy is necessary for orthopraxis and orthopathos to occur. We learn from academic and popular theologians that we must first understand the truth and then apply it to our lives. It is quite normal for Christians to operate with a rather straightforward model: "What I believe is going to affect the way I live." And this is true. What we learn about the truth deeply influences the way we live. As our orthodoxy develops through the study of theological concepts, what we understand to be true will either confirm or challenge our behavior and emotions. Perhaps you are a person who is naturally inclined to feel sympathy for others and to act on that feeling. Now, as you learn biblical concepts like, humanity in the image of God and the importance of kindness and mercy toward others, you will find that your previous behaviors and emotions, those to which you are naturally inclined, are confirmed and enhanced by the development of your orthodox views. At the same time, orthodox outlooks can challenge our behaviors and feelings. Perhaps you are a person who struggles with selfishness and greed. You're indifferent to the poor and you do nothing to help relieve their suffering. Then as your theological thinking becomes more biblical, your behaviors and emotions are going to be challenged by your orthodox views. In these and many other ways, developing our orthodoxy enhances orthopraxis and orthopathos by confirming and challenging the ways in which we live. Now let's turn to a second way in which our theological goals depend on each other. How does orthopraxis enhance our orthodoxy and our orthopathos? How does our behavior affect our beliefs and our emotions? On the one hand, our praxis or actions can confirm or challenge what we believe to be true. One example of this that happens often is when you ask a serious student of theology, "Why should we pray?" All too often, when believers do not have much practice in prayer, their answer to this question is very weak, something like "We pray because God commanded it." Now, as true as this answer is, I have never heard a prayer warrior, someone who is known for having an extensive, fully developed prayer life, answer in this way. The experience of praying over many years gives a person sensitivity to see many other reasons for prayer. It is true that we should pray because we are commanded to, but the lack of prayer experience often hinders us from seeing numerous other biblical motivations for prayer. The prayer of a righteous man is powerful and effective (James 5:16). The lack of godly behavior robs us of these theological beliefs, but the experience of holy living in prayer challenges, confirms, and enhances our beliefs in many ways. Beyond this, our practices also influence the emotional dimensions of theology. What we do bears on what we feel, either confirming or challenging what we feel. For example, when believers commit serious sins, it is often the case that they also go through the emotional experience of guilt and conviction. At the same time, when we do what is right, we often find the joy and pleasure of God's approval and blessing. As we have seen, what we believe affects what we do and feel; what we do affects how we believe and feel. Now we should turn briefly to the last perspective on the interdependence of the goals of theology: how our feelings influence what we believe and what we do. How long, O Lord? Will you forget me forever? How long will you hide your face from me? — Look on me and answer (Psalm 13:1, 3). I am worn out from groaning; all night long I flood my bed with weeping and drench my couch with tears (Psalm 6:6). You turned my wailing into dancing; you removed my sackcloth and clothed me with joy (Psalm 30:11). From these examples we can see that the three theological goals of orthodoxy, orthopraxis and orthopathos are highly interdependent. What we believe always has some influence on our actions and attitudes. Our practices influence our beliefs and our emotions. And our emotions always affect our behavior and beliefs in one way or another. Understanding that the three goals of theology are interdependent alerts us to a serious issue. Which of the three goals has priority over the others? Should we concentrate more on orthodoxy, orthopraxis or orthopathos? Many evangelicals have a straightforward answer to this question. They're convinced that God's design is for us to concentrate first on correcting our beliefs so that they will change our actions and our actions will then change our emotions. This model of priorities may be put in this way: "Think right, do right, then you'll feel right." This approach toward theology is widespread. Now of course, there should be no doubt that this strategy is perfectly legitimate. There is nothing wrong with it per se, but a problem arises when we follow these priorities all the time. Because we seem never to get beyond thinking about the first step, our theology becomes impoverished. Working on our theology of action and pathos is neglected, or at best considered secondary. It is helpful to think about the goals of theology in the same way we think about the vital systems of the human body. We all know that we have several vital systems: a central nervous system, a digestive system, a pulmonary system, a cardio-vascular system. Now, which of these should be given priority? What is the proper order for thinking about the interconnections among these systems? We may think about how the nervous system affects the digestive system, but we may also think about how the digestive system affects the nervous system. There are many legitimate and useful ways of working our way through these interconnections. Well, what we have seen about the interdependence of the three goals of theology indicates that constantly choosing one strategy or one focus is less than adequate. As we will say many times in these lessons, our beliefs and our actions and our feelings form webs of multiple reciprocities. Rather than simply being linear in their relationships, they are multi-linear, or reciprocal, to the point that we cannot always assign one priority. It is true that we should think rightly so that we can do rightly and then feel rightly. But at times we should also do the right thing so that we can think the right way and feel the right way. And we should even feel the right way so that we can think and do correctly. The Holy Spirit leads his people toward the goals of theology in many different ways. How then do we decide what to do? How do we decide whether to stress right thinking, doing or pathos? The answer to this question is that we must develop the wisdom to give priority and emphasis to the goals of theology that are needed most in any given situation. "Because the deck of life is always shifting, balance can be nothing more than momentary synchronicity." Life is like the deck of a rocking ship. Sometimes it leans this way, and other times it leans that way. To keep our balance on a shifting deck we have to learn how to lean one way and then the other depending on what is happening under our feet. If we don't learn how to lean the right way, we'll surely fall overboard. There is no single prescribed way to pursue every theological task. Each time we seek to fulfill the goals of theology, we have to ask ourselves, "What is needed; what do we and those around us need most at this moment?" Then we establish the appropriate orientation for that time, and we pursue all the goals of theology with all of our hearts. Much harm can come to believers who do not know how to shift their priorities. When we constantly emphasize orthodoxy, we easily stumble into intellectualism. When we constantly emphasize practice, we easily move into legalism. And when we always stress the emotional goals of theology, we easily fall into emotionalism. But learning how to balance momentarily as the deck of life turns one way or the other can help us avoid these extremes. So, each of us needs to ask the question, "Which of these tendencies characterizes the way that I do theology? Am I prone toward intellectualism; am I prone toward legalism or emotionalism or some combination of these?" Whatever our natural tendencies may be, we need to work hard to focus on those goals of theology that we tend to ignore. Now that we have defined theology and have examined the goals of theology, we should turn to our third subject, the topics of theology. What areas of concern come into view when we do theology? Under what headings should we seek orthodoxy, orthopraxis and orthopathos? Introducing someone to the theological enterprise is like introducing someone to the universe. It's a daunting task to say the least. So, in these lessons we will have to narrow our focus in theology to just a few topics. To understand the subjects that will interest us, we have to touch on two matters: first, the many options before theologians; and second, the selections we will make in these lessons. Let's look first at the options that await anyone who ventures into the formal study of theology. When people first enter the serious pursuit of theology, they are often overwhelmed by the large scope of the field. It's common to think of theology as covering a long list of subjects. Throughout the two millennia of the Christian faith, a number of topics have come to occupy those who focus much attention on theology. The list of subjects differs from one branch of the church to another, but there are enough similarities that we can name a number of major theological categories. The pursuit of theology normally includes some relatively practical topics like missions, evangelism, apologetics — or defending the faith, worship, mercy ministries, counseling and homiletics — or preaching. It also includes a vast array of more theoretical or abstract subjects: soteriology — the doctrine of salvation, ecclesiology — the doctrine of the church, anthropology — the doctrine of humanity, pneumatology — the doctrine of the Holy Spirit, Christology — the doctrine of Christ, theology proper — the doctrine of God, eschatology — the doctrine of end times, biblical theology — theology of redemptive history recorded in the Bible, systematic theology — the logical arrangement of biblical teaching, historical theology — tracing the development of doctrines in the history of the church, and hermeneutics — or interpretation. Now for the most part, traditional academic theology has focused on these topics primarily from the vantage point of orthodoxy: the right way of thinking about these matters. A typical seminary class on any of these subjects will concentrate on getting the concepts straight, making sure that everyone is thinking properly. Occasionally, some seminary classes concentrate on learning skills. Classes that focus on worship, evangelism, homiletics, and counseling normally have a significant concern for skills or orthopraxis. Unfortunately, it is not normal for seminary classes to concentrate on orthopathos, or the emotional dimensions of theology, even in homiletics or preaching classes. Yet, as we have learned in this lesson, a more adequate approach to the topics of theology requires deepening our concern in all three directions. So, we can see that the task before a student of theology is colossal. There are innumerable directions to pursue with every topic of theology. The long list of options that we face when doing theology leads to the necessity of selectivity. There is a grave danger that new students of theology often face. The number and complexity of theological topics can be overwhelming. In fact, the field is so large that many students can do little more than barely learn the raw data of these topics. As a result, students often find themselves focusing almost exclusively on orthodoxy because there is so little time to explore other dimensions. In these lessons we are going to avoid becoming overwhelmed by the vast array of theological topics by gathering our thoughts around a limited number of topics. We will concentrate on the aspects of theology that we will call pastoral theological concerns. What we mean by this is those sets of beliefs, practices and pathos that are more directly beneficial for pastors and church leaders. 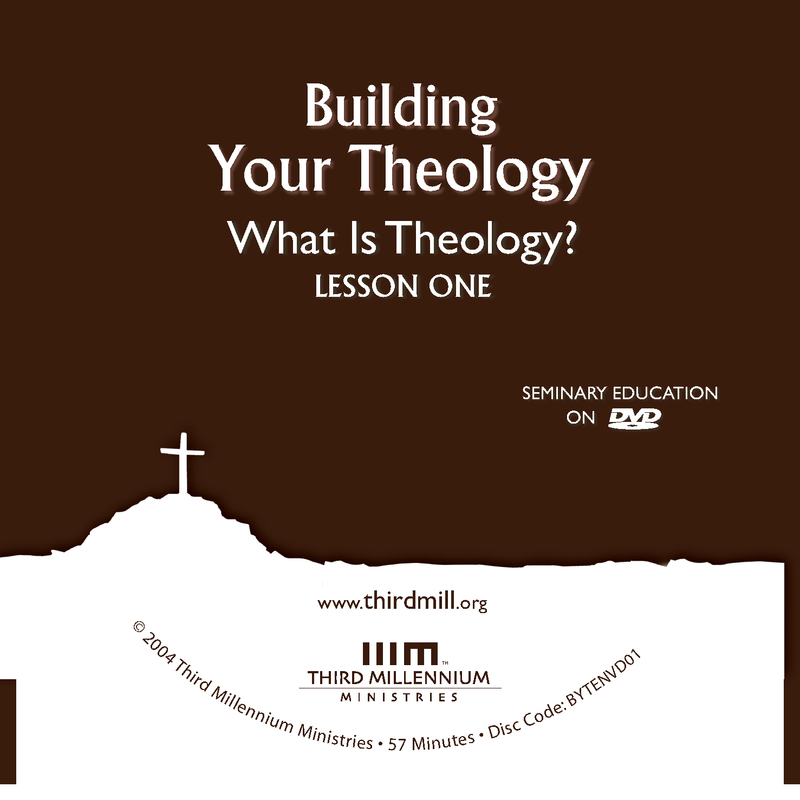 We are not trying to introduce the entire encyclopedia of theology in these lessons. Instead we will be asking ourselves these kinds of questions. What do people training for church leadership need to know; what do they need to do; and what do they need to feel theologically? How do they need to approach the study of theology? Happily, we don't have to invent answers to these questions. The church has already pointed in several important directions. As theological education in the Church has developed over the centuries, a consensus has grown among a variety of denominations throughout the world on the kinds of topics that need to be covered in the education of leaders in the Church. As a result, a typical seminary curriculum looks something like this. It is divided into three major divisions: the biblical division; the historical and doctrinal division; and the practical division. These three divisions represent major ways the Holy Spirit has led the church to develop theological education for church leaders. Let's unpack these areas of theological training that the church offers its leaders. The biblical division normally divides into Old Testament studies and New Testament studies. These areas of the curriculum focus on the content of Scripture and expose future church leaders to responsible interpretation of the Bible. The doctrinal and historical division often divides into church history and systematic theology. Church history focuses on how God has developed theology in the church as the body of Christ has struggled against the world in different ways at different times. Systematic theology exposes students to the ways the church has organized the teaching of the Bible into logical or systematic arrangements. Then the practical division draws attention to students' personal spiritual development and practical ministry skills such as preaching and evangelism. As we progress through this series of lessons, we will acknowledge the importance of the contours of these theological divisions. Rather than forging our own new way, we will simply attempt to organize and clarify different dimensions of what the Holy Spirit has already taught the church to do. Consequently, we'll be concerned with three main topics in future lessons. The field of biblical studies will correspond roughly to what we will call "the exegesis of Scripture." In these lessons the division of historical and doctrinal studies will roughly correspond to what we will call "interaction in community." And the division of practical theology will loosely correspond to our category of "Christian living." We will look into the ways each of these areas of theology function, and how they work together as we pursue theology. Instead of falling in the trap of intellectualism in our theological curriculum, we'll constantly remind ourselves that each division of the theological curriculum entails conceptual, behavioral and emotional dimensions that must be explored. When we study the exegesis of Scripture in the Old Testament and New Testament we need to learn how to be concerned with concepts, practice, and pathos. As we study how the church interacts as a community, we will need to remember the importance of concepts, of practice and pathos. And as we consider Christian living, we will not only focus on orthodoxy, but on othopraxis and orthopathos as well. On all three levels, the three topics of exegesis of Scripture; interaction in community; and Christian living will be the central topics of our introduction to theology. In this lesson we have explored the most basic question we can ask as we venture into theology, namely, "What is theology?" We have touched on three aspects of this question: the definition of theology, the goals of theology and the topics of theology. As we continue in these lessons that lie ahead, the concepts presented in this lesson will appear time and again. As we keep our basic strategy in mind, we'll be better equipped to pursue theology in ways that will offer significant service to Christ and to his church.